Thru my spiritual walk with God He has enlighten me with the words and feelings. 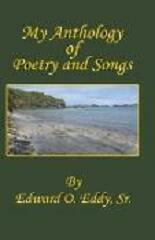 This has enable Edward to put together this collection of Poetry and Songs. That Edward may touch others who are hurting or going thru tragedy. Edwards hope is that they will be able to find peace and joy and that this will enable them to move on and become one with God and self. Edward hopes that this will help mend lovers, broken relationships and families together.